The new BbSpeaker is designed as an all in one device. Your main devices are paired just as with 2 way communication. One of the main units is with the athlete or coach doing the demonstration. The other unit is within the BbSpeaker and projecting the voice of the other unit. When talking into the BbSpeaker, the individual’s voice is relayed to the other main unit it is paired with in real time. BbSpeaker is compatible with all current and new products by BbTALKIN. BbSPEAKER has two channels. It allows you to choose which channel you want to talk with other people in real time. 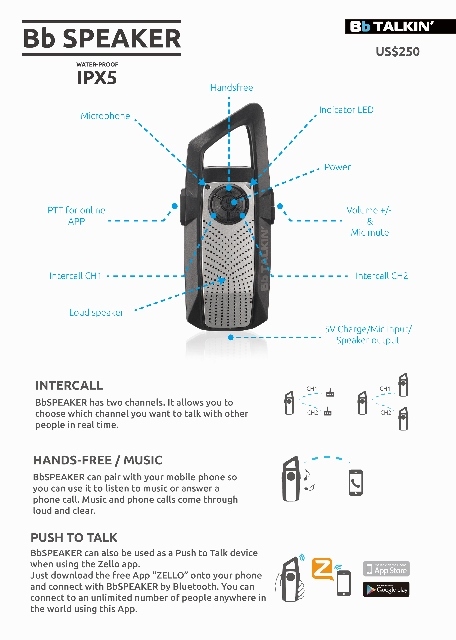 BbSPEAKER can pair with your mobile phone so you can use it to listen to music or answer a phone call. Music and phone calls come through loud and clear. 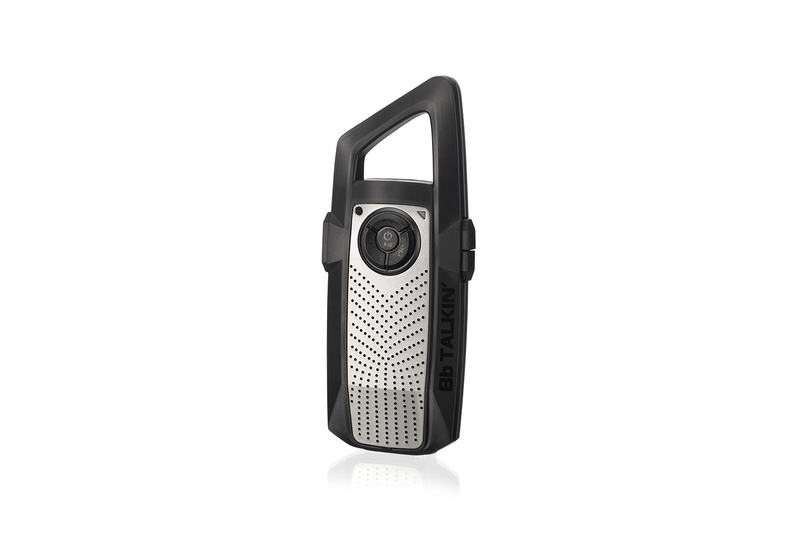 BbSPEAKER is can also be used as a Push to Talk device when using the Zello App. Just download the free App “ZELLO” onto your phone and connect with BbSPEAKER by Bluetooth. You can connect to an unlimited number of people anywhere in the world using this App. BbSPEAKER allows you to talk with a large group around the speaker. This feature allows coaches to provide instruction to a group of students in real time. The coach will be using the BbTALKIN main device.